Yahuwah has blessed us to be able to spend some time with other like-minded believers in Perry Florida. Sadly, our friends had to go out of town due to a family emergency. However, before they left we had a great time fellowshipping and laughing. 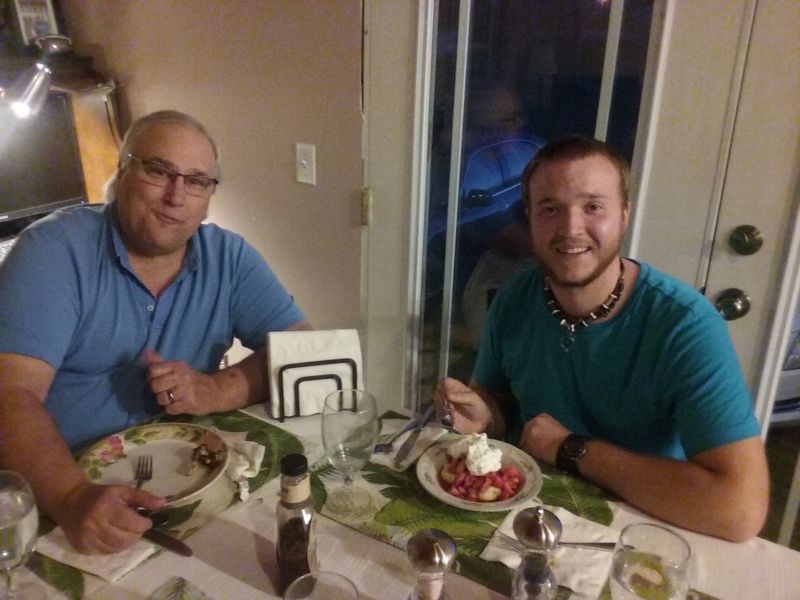 Here is a pic of Brother Ed and Brother Michael eating and enjoying each other company. The little town of Perry is full of people that are down to earth, friendly and very kind. 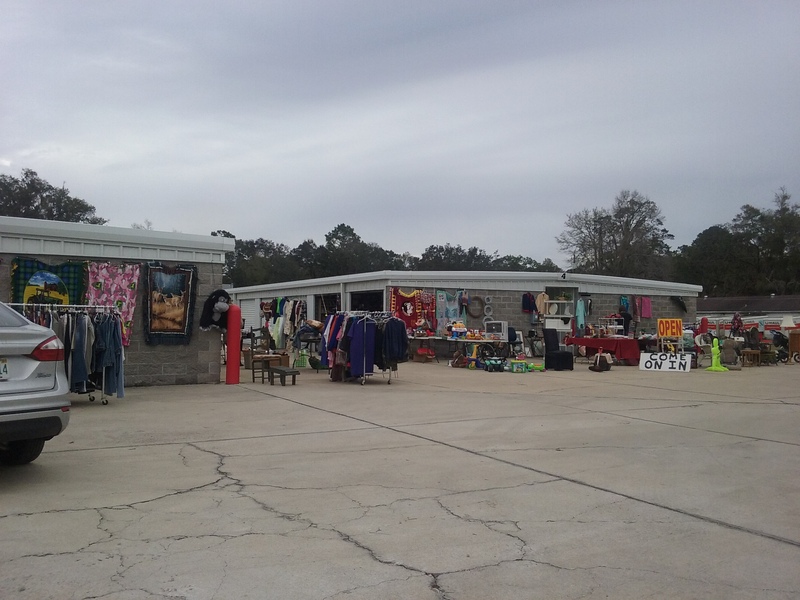 We were disappointed to learn that the local flea market had closed a few years ago. We thought it was still operating, that is why we came here. 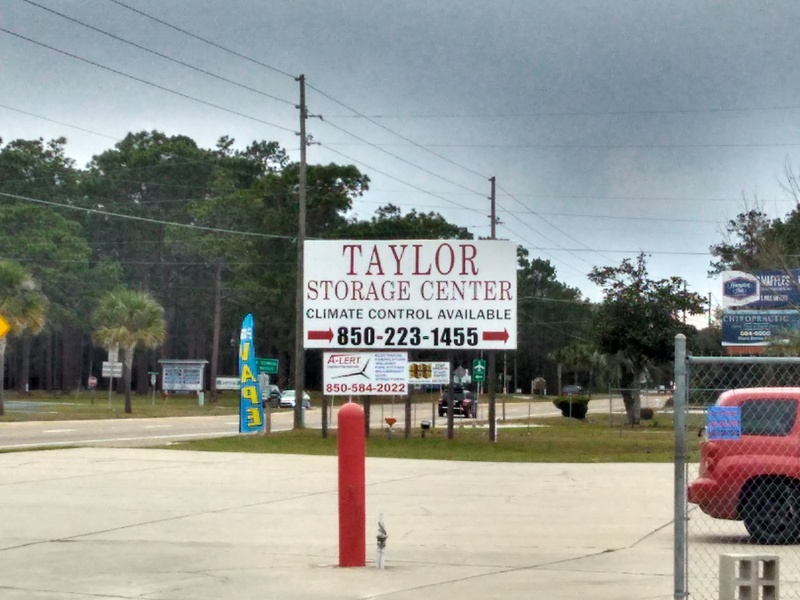 While driving through town one day, we saw that a storage company was having a yard sale/storage sale. 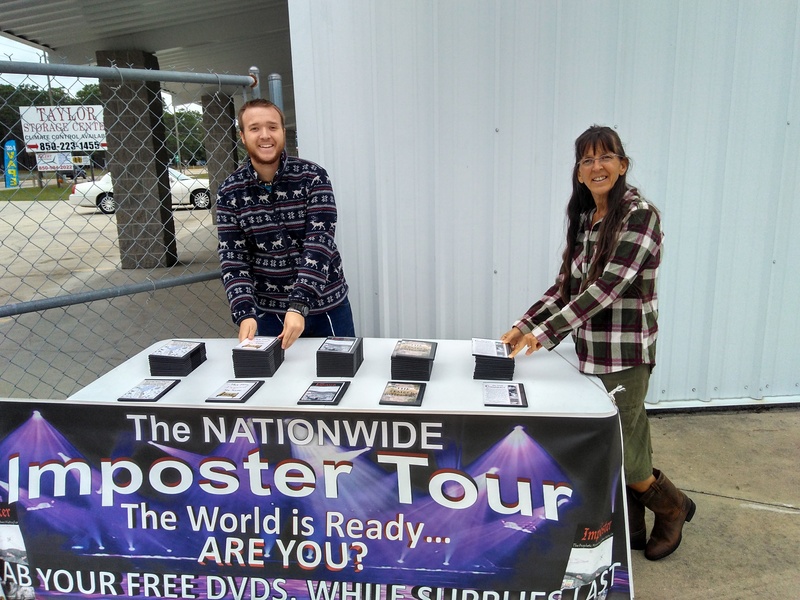 We thought, it was worth a try to see if they would let us setup our table to give our free DVD’s away along with witnessing to others. To our surprise, not only did they allow us to set up but they allowed us to do it for free!!!!! I believe Florida’s winter has arrived as it was a very cold day. This little place got busy! We gave 5 sets of DVD’s away. 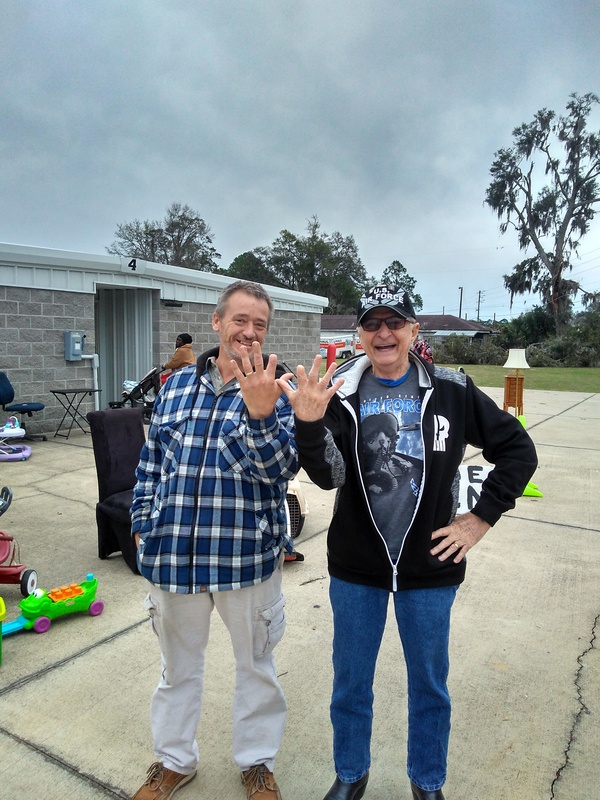 Two venders came by and blessed us with two donations. Since we do not get many donation, we were very thankful for those. 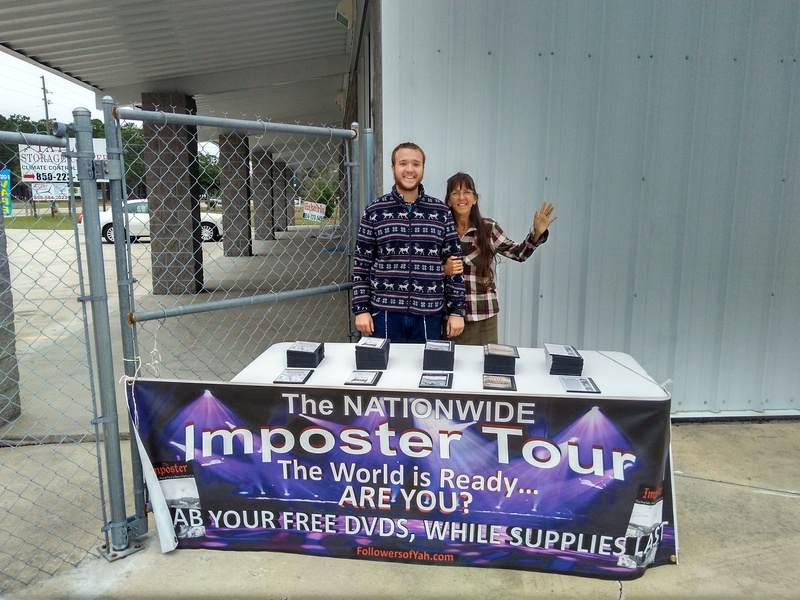 The same two venders, each took a set of our DVD’s. The one vender named Diane, knew about some of the deeper truths to our faith. Apparently, her friend has been sowing seeds to her. We are hoping that after talking to us, we could give that seed sown deep within her some water! And may Yahuwah allow that seed to grow. 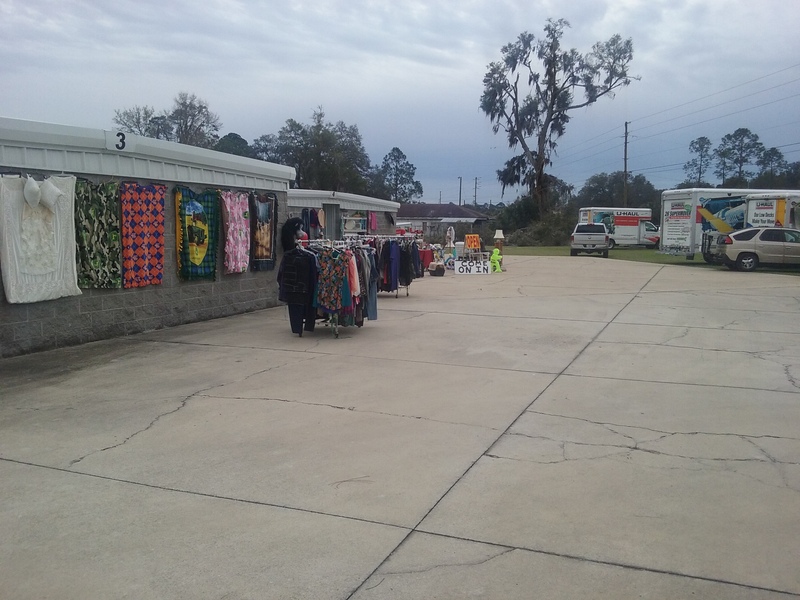 The other vender named, Betty who has kidney issues, got upset with us at first even walking away! The Ruach Ha Qodesh must have been moving her to come back. She came back and took the set of our DVD’s stating that she will study this information and hopefully our material will be the truth she has been looking for. If so then she will consider it further. Before we left she even turned around and blessed us with some of her yard sale items! We were at the FOY ministry beseech you to please, keep these two women in your prayers! 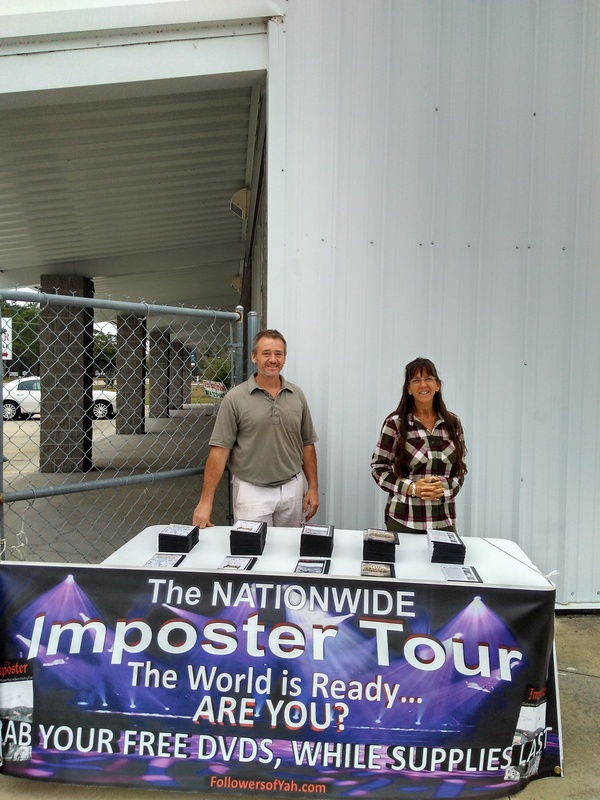 We had a wonderful time despite the cooler weather meeting some people from Perry Florida! This entry was posted in Uncategorized by FollowersofYah.com. Bookmark the permalink.